YouTube is on the war path. Deadline reports the streaming service has cancelled four TV shows: Ryan Hansen Solves Crimes on Television, Champaign ILL, Sideswiped, and Do You Want to See a Dead Body?. An action comedy, Ryan Hansen Solves Crimes on Television debuted its second season in January 2019, Champaign ILL launched its first and only season in December 2018, Sideswiped premiered its first and only season last July, and Do You Want to See a Dead Body only ran for one season back in 2017. According to Deadline, YouTube is no longer developing scripted series. The streaming service does still have scripted shows on the air, including Cobra Kai and Step Up. As of reporting, those series have not been cancelled. What do you think? Have you seen any of these four YouTube TV shows? Are you sad they’ve been cancelled? More about: Champaign ILL, Champaign ILL: canceled or renewed?, Do You Want To See A Dead Body?, Do You Want To See A Dead Body? : (canceled or renewed? 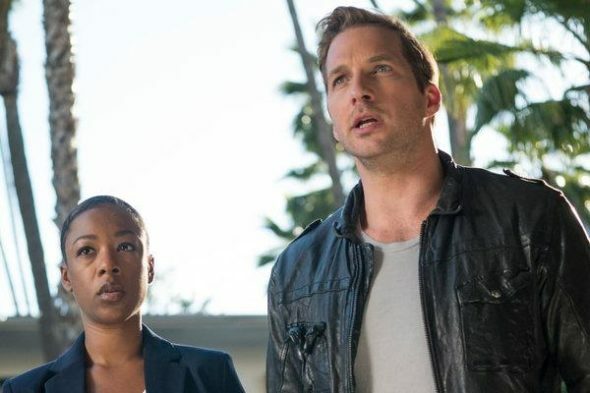 ), Ryan Hansen Solves Crimes on Television, Ryan Hansen Solves Crimes On Television: canceled or renewed?, Sideswiped, Sideswiped: canceled or renewed?, YouTube TV shows: canceled or renewed?